Keep pipes clear with this flexible, silicone drain hair catcher that keeps hairs out of sight, too. Unlike the metal ones you’ve seen, TubShroom is a plug that fits into the drain, catching hairs beneath the drain before they reach pipes. Hair wraps around its spool-like design. Remove TubShroom once a week or so and pull the hair off with a tissue. 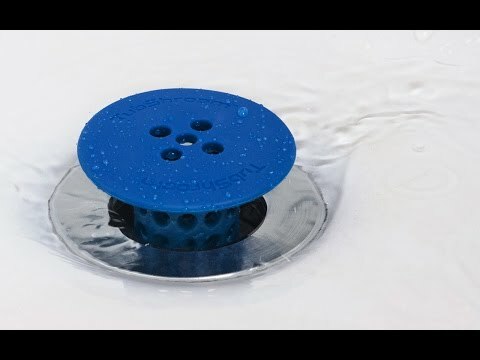 Dimensions: 1.75" x 2.25" x 2.25"
This device works very well to catch all hair AND keeps the water flowing freely down the drain, no back up or clogs! FINALLY!! I have been using it for a short time but it is working as described. Amazing how well it works!